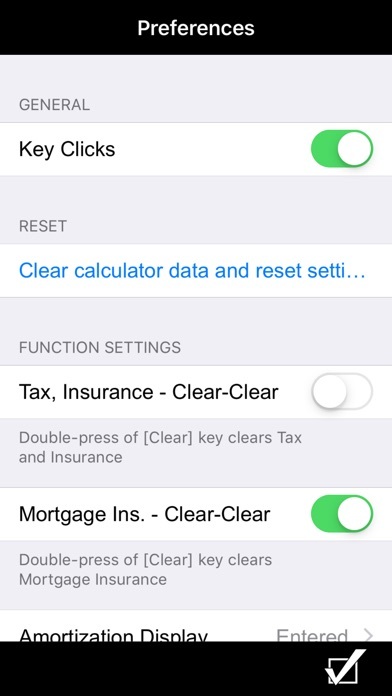 Residential Real Estate Finance Calculator for Agents, Brokers, Attorneys, Loan Officers and other Mortgage Industry Professionals The Real Estate Master® IIIx app from Calculated Industries gives Real Estate professionals the power, portability and ease-of-use of the Real Estate Master IIIx on your iPhone or iPad. And while perhaps obvious, if you change from an iOS device to a non-iOS device, you WILL need to buy a new license as they are incompatible. Get complete payment solutions with mortgage insurance, amortization, FHA, ARMs, rent vs. buy comparisons and more. Ideal for new agents and professionals – anyone who doesn’t require buyer qualifying functions: • Enter loan scenario and quickly solve for PITI and other “what-ifs” • Compare renting vs. buying costs, including estimated tax savings • Calculate future values and property appreciation • Instantly solve your clients’ real estate finance questions • E-mail loan worksheets to your clients from your iPhone Built-in functions help you find instant solutions for: • Complete PITI payments, including FHA • Amortizations with remaining balances • Bi-weekly loans and ARMS • Rent vs. Buy comparisons and estimated tax savings • Future Value, property appreciation FEATURES: • Created by Calculated Industries, the originator of the Real Estate Master and Qualifier Plus Real Estate and mortgage calculators • Loan terms and payment types can be e-mailed from the app • Amortization screen lets you see all amortization or loan data at once and e-mail it directly from the app screen on your phone • Built-in help – just press and hold the desired key for full, clear definitions, explanations and examples of keystrokes Time-saving Utilities Include: • Date Math function lets you instantly see closing and expire dates • Triple Zero key saves time and keystrokes • Memory Function • User-Definable Preferences — define and store payments per year, taxes and insurance Special Functions: • Entry-editing backspace key – with a swipe of a finger • Works as a standard calculator • Free Pocket Reference Guide available at www.calculated.com TRADEMARKS: Real Estate Master® is a registered trademark of Calculated Industries, Inc. I used to buy the calculators made by the same company for years, but they would always grow legs! Now that I have the app it's just as good, even better because it's always with me. This is great for doing numbers on investments! Great for mortgages, car loans and credit cards! It's an invaluable tool for me. I used have this calculator, i paid $50 or $60 for it. Now for $6 its right on my iphone. Easy to use. Perfect tool for the real estate professional. This is a great fine. I use this exact calculator on a daily basis. 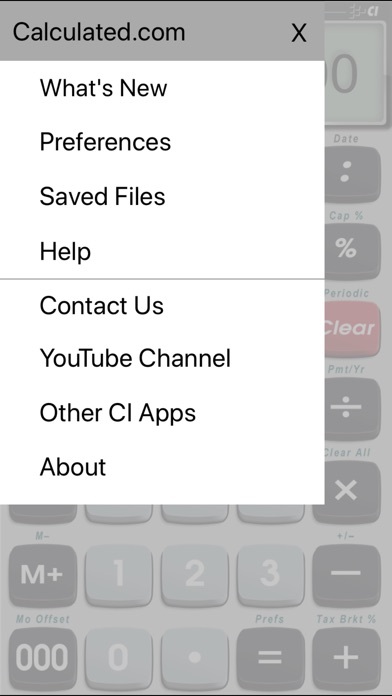 This is the perfect calculator app. 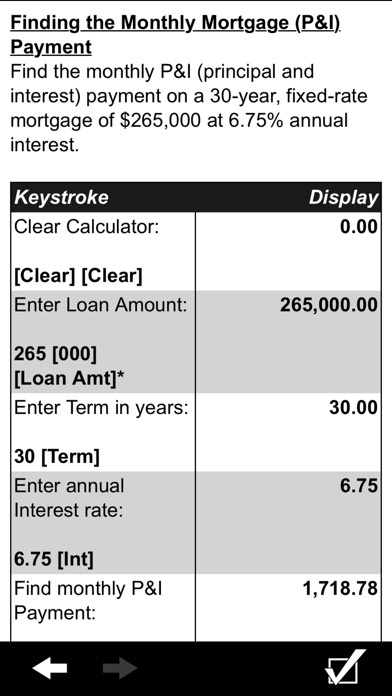 Amortization screen is a great addition too! Just like the real thing!!!!! This is the best calculator on the market. It's much better than the old HP! I will never forget to bring a calculator to a appointment now! Been waiting for this app. When I called you mentioned it would be out by fall and here it is. Nicely done. 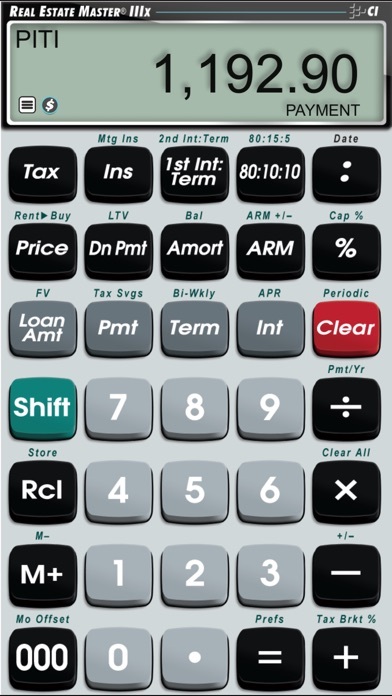 Very similar to the actual calculator with the exception of the amortization screen: a very nice visual improvement over the original. 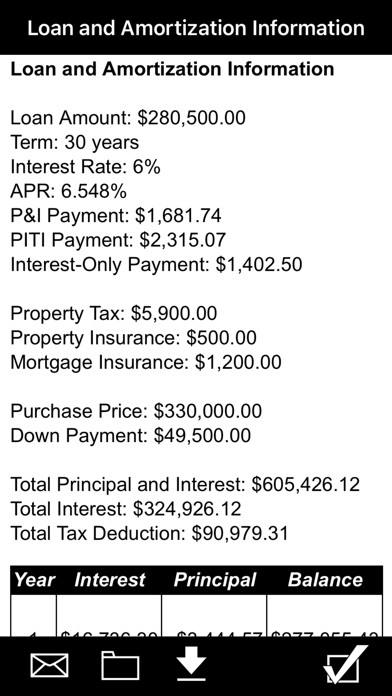 The amortization schedule can also be emailed from the phone - nice touch!